Like all caves, Seneca has its own story. We can say that its history started over 460 million years ago. 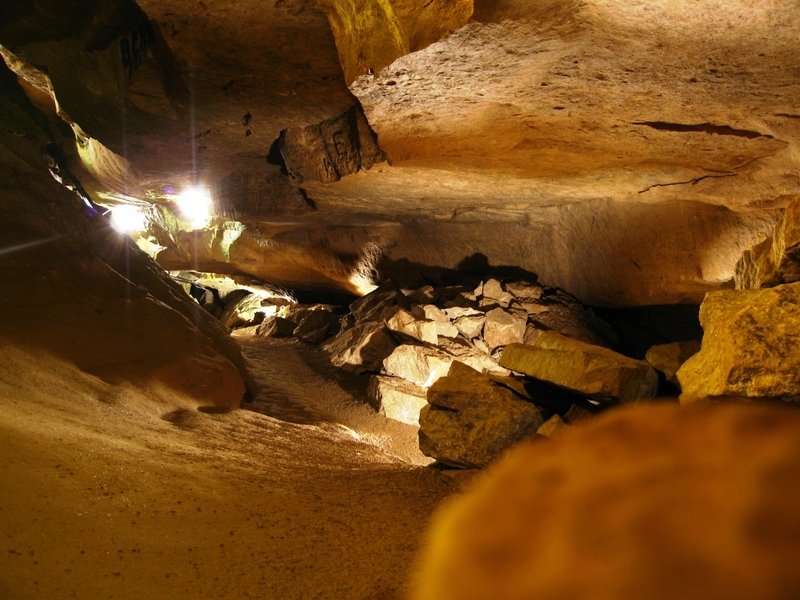 The cave had been used by Seneca Indians for shelter, storage and special ceremonies in the early 14oo’s. 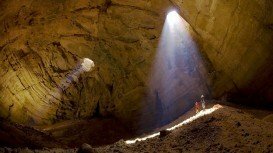 The cave was rediscovered in 1742 by a man named Laven Teter on a quest for water to supply his livestock. 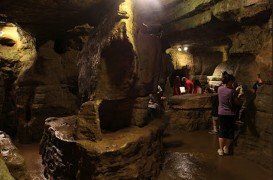 Nowadays, Seneca Caverns is open for the public and gives them the opportunity to get in touch with the cave life. Before you visit this spot, you can learn something more. Firstly, anything formed inside a cave is called a speleothem and has a specific name and secondly, Seneca has the largest flowstone formation in the state. 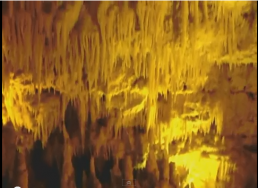 Other types that you will see in the cave are Rimstone pools, Draperies, Cave Bacon or Ribbon stalactites. The cave maintains about 54˚F/12.2˚C all year-round. It is the cave’s location that leads to colder temperature in the north and warmer in the south. As far as the cave life is concerned, in the entrance you will find cave crickets, salamanders and spiders. It is also very common to find white centipedes and bats. Tours of Seneca Caverns last about one hour, during which visitors are led along a well lit pathway. 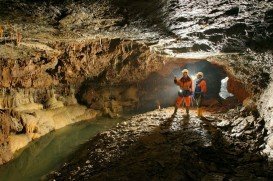 Visitors are led along a 0.75 mi (1.2 km) prepared trail and descend as deep as 165 ft (50 m) below the surface. 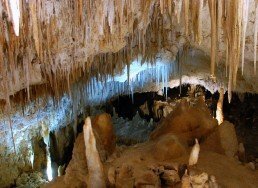 A trip at Seneca Caverns can offer pleasure to the whole family and education to the new generations.